I am the father of two daughters. I have survived Dora the Explorer, Selena Gomez, The Wiggles, Hannah Montana, Blue’s Clues, That’s So Raven, and High School Musical 1, 2, and 3. I have been married since ’97. A wonderful Chinese girl has just moved in with us. We have a 6 month old Shih-Poo dog who was spayed this week; a dog who I am not sure feels the same way about me now as she did last week. I am surrounded by women. I understand a world that cries for no apparent reason. There are times I stop by a field to stare at a bull just to remind myself of who I am. I am man. As man as I am, there is one aspect of girl culture that has captured me. I must confess, I really like Taylor Swift. I would not consider myself a Swiftie by any stretch, but I own 1 song of hers on iTunes and when she comes on the radio – yes – I turn it up and sing. Hey bro, don’t diss me – shake it off! Taylor Swift is a culture study. Her skill as a songwriter to stick a song in your head is unmatched. Yet it is not her ability to tell a great story and put it to a catchy tune that I find most interesting. My interest is in her ability to be a superstar who connects. Taylor has an impeccable ability to look at her fans and communicate, “I am you.” I don’t dance well. People criticize my love life. People said mean things to me in high school. I dated a guy with bad teeth. I will put on an album what you wanted to say about a breakup and sell a billion copies FOR YOU – and we believe her. On some level, we all get Taylor. She has an impeccable ability to make everything about her personal to her fans. As wonderful as Taylor seems to be at communicating herself, the truth of the matter is that most of us think we know all about her, but we will never know her. As intimate as her Swifties think they are with Taylor, the reality is everything they have of her was bought at a souvenir stand. Whether it was a download, a video, a T-shirt, a concert, a social media update – it is pure fandom, at a distance. You need to know Jesus better than you know Taylor Swift. In my observations of many who profess to be Christians, I am convinced many of us know Jesus like we know Taylor, from the souvenir stand. It goes without saying; the stark reality is that many Christians probably do know Taylor better than they know Jesus. They have invested far more time in her than in Him. Either way, the point is, it won’t work. You need to know Jesus better than you know Taylor Swift because you CAN know Jesus better than you know Taylor Swift. I cannot imagine what it must be like to be Taylor. Ultimately, she is like the rest of us with a limited capacity for personal relationships. Jesus is infinitely able to know His people intimately and to be intimately known by them. He invites us into intimacy, not religion. You can’t spend time with Jesus like you spend time with Taylor. We get to know Taylor as we listen to a song, or watch a video of her surprising select fans with gifts, or follow her on Instagram. To know Jesus is not to hear a sermon, read a 3 paragraph devotion, to have a fish on your car, buy a Christian T-Shirt, or to love Lecrae. 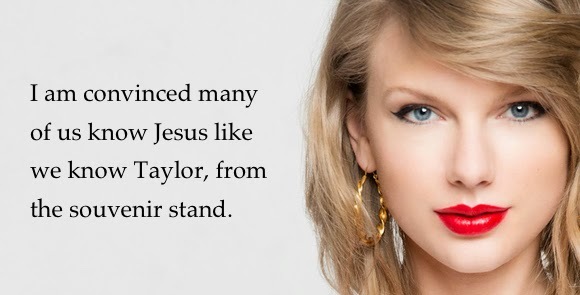 You may be seriously INTO Taylor Swift, to know the Savior you must be redemptively IN Christ. First of all, to know Christ is not to appreciate Him like you do a talented artist, it is to believe in Him as your only hope for salvation. Taylor Swift may be therapeutic for your next breakup, but broken hearts are not our biggest problem. The problem is that we are broken people. We stand guilty before a Holy God. Christ did not die on the cross to help you have a better day. Christ died on the cross to atone for your sin and to save you from the wrath of God against sin. We are ruined. (Romans 1:18-32). To know Christ is not to read the Bible because it is good for you. To know Christ is to read the Bible because it is God’s Word to you. For the Christian the Bible is not a moral discipline, it is a conversation. As fun as it is to hear from Taylor and vicariously live through her lyrics, how much more important is it for us to stay our minds on the Lord and to hear with holy reverence what God has said to us? Taylor is so socially connected it is not hard to know where she is. The opportunity for us in the knowledge of God is to know He is there. 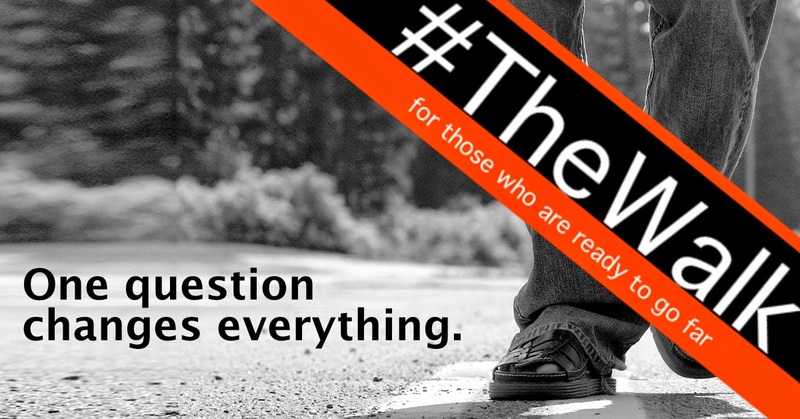 I am not talking about “there” in the sense of, He exists. I am talking about “there” in the sense that He is in you, you are in Him – ONE with Christ. Words fail to express what it means to be ONE with Him. Volumes have been written about John 17, and like this post, they are an embarrassment to what the passage must fully mean. However, I can with confidence say this, if you are to have any hope of eternal life, you must know Jesus better than you know Taylor Swift. You CAN know Jesus better than you know Taylor Swift. Salvation does not come from the souvenir stand. Salvation comes through the intimate union of Christ with the sinner in mercy from God. His death is our atonement. His resurrection our victory. What He has done says to us that appreciating Him from a distance will not do. You must know Jesus better than you know Taylor Swift. Posted in Dabbles in Apologetics, Understanding the Bible.